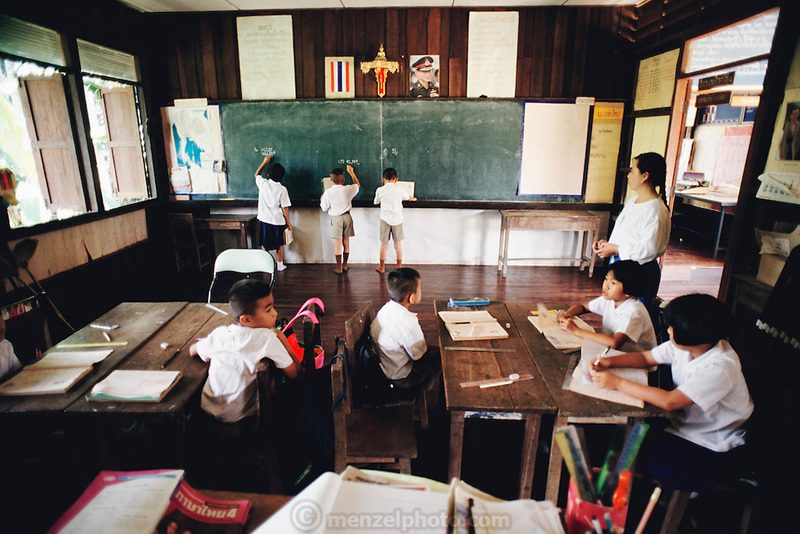 Nine-year-old Visith Khuenkaew, (at the blackboard on the right), and his fellow third grade classmates work on math problems at school near their village of Ban Muang Wa, Thailand. The Khuenkaew family lives in a wooden 728-square-foot house on stilts, surrounded by rice fields in the Ban Muang Wa village, outside the northern town of Chiang Mai, in Thailand. Material World Project.